Aside from having the beautiful candidates promote goodwill and eco-awareness, Yoshinoya also introduced their Christmas Treats Promos where you can get a free pouch of chocolate for every Php1,000 single delivery purchase with Yoshi Chicken, and a box of chocolate for every Php2,000 single delivery purchase with Yoshi Chicken. Or if you have a Christmas Party in the works, every Php5,000 single or accumulated delivery purchase with Yoshi Chicken gets you to have a free swift peared sweet ham. Try their newest offering, the Japanese style Yoshi Chicken, crispy deep fried chicken with cabbage, special gravy and steaming hot rice. 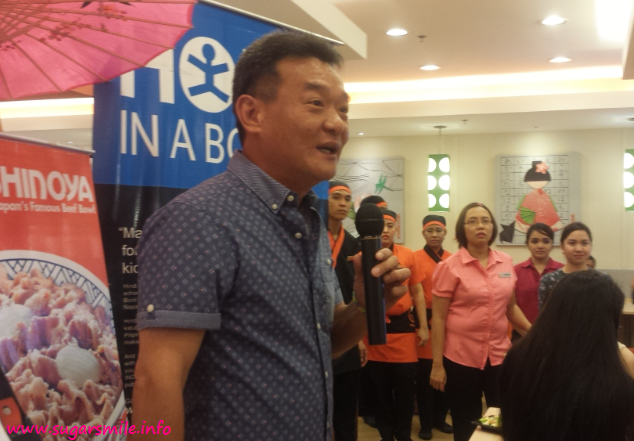 We all enjoyed all these and more, together with Mr. Timmy Yang, Yoshinoya’s President and the Ms. Earth Candidates. 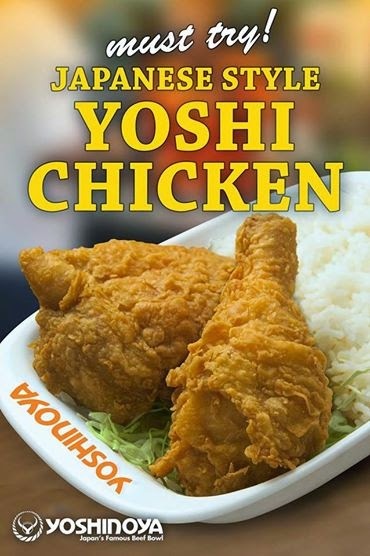 Know more about Yoshinoya and their latest offering through their Facebook Page at https://www.facebook.com/YoshinoyaPhilippines or call 288-2888 for deliveries.